It goes without saying that having your dog groomed at the same place they board or attend daycare is incredibly convenient. Grooming, however, is open to non-daycare dogs as well! If you wish, we will conduct a one-time temperament test for any dog who comes in for grooming and if they do not show aggressive tendencies, they will be permitted to play with the daycare dogs after grooming and before they are picked up. Once they have passed the temperament test, they will be allowed to play with the daycare dogs at any future grooming. There is no charge for this playtime but it will be limited to no more than one hour. We offer several different grooming services: The premium bath service includes a bath, drying, brushing and nail trim while the gold bath service includes a bath, blow dry and nail trim. Requirements for Grooming: As with all of our services, we will not be able to allow dogs with a flea or tick infestation into our facility and all dogs will need to show proof of vaccinations before entering the play area. Reservations for Grooming: The Dog Bark does not require reservations for bathing services if you attend daycare. You simply need to let one of our staff members know what you would like when you drop your dog off at daycare and we will fulfill your request during the day. You may also enter your request into the special request section on the reservations page if you make your daycare reservation online. If you are a non-daycare client, a reservation is required. We request 48 hours notice on grooming cancellations if possible. Drop-off/Pick-up: Please be timely for grooming reservations. Otherwise, as stated above, if your dog has passed our temperament test, please be no later than one hour after staff requests pick-up. 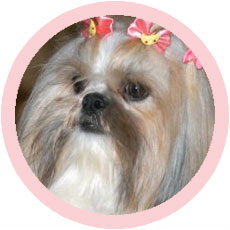 Premium Kennel Bath Service (Mon-Fri): (long-haired dogs or dog who require brushing)- Includes a bath, blow dry, brushing and nail trim. Reservations required for non-daycare dogs and recommended for daycare dogs. **An additional $10.00 per 15min. brush-out time will be assessed if requested. Gold Kennel Bath Service (Mon-Fri): (short-haired dogs or dogs who do not require brushing) - Includes a bath, blow-dry and nail trim. Reservations required for non-daycare dogs and recommended for daycare dogs. Nail trims – No reservations required for daycare dogs. Walk-in toe nail trim requests may or may not be possible depending on work flow and the difficulty of the nail trim.